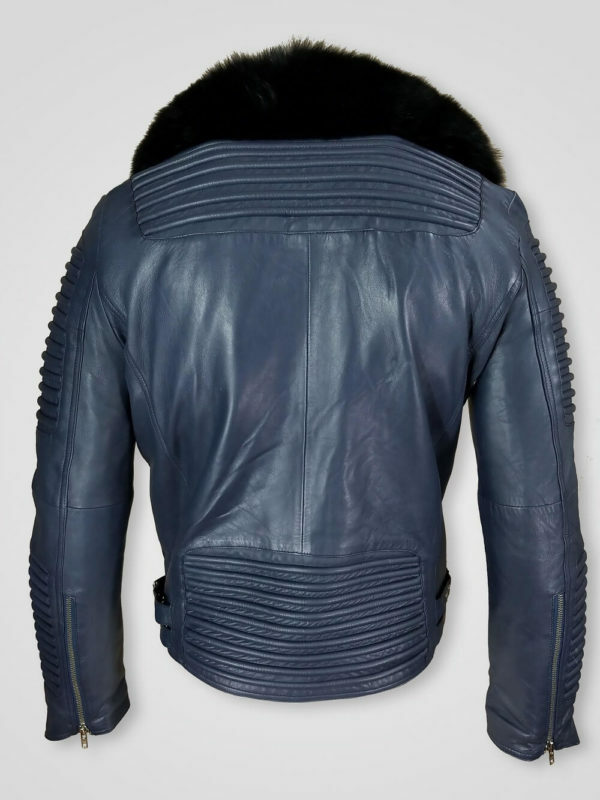 Description: It is a bluish leather jacket with real black fur collar for men. It will offer you a great fit. You can carry it on any kind of occasion. The collar and body color combination is unique and probably you will not get this type match anywhere else except Alen Cooper. Sleeves, shoulder and lower back area are of quilt design, snap button pairs and asymmetrical Zipper closure at the front, are making this outerwear a must-try worthy product of the season. 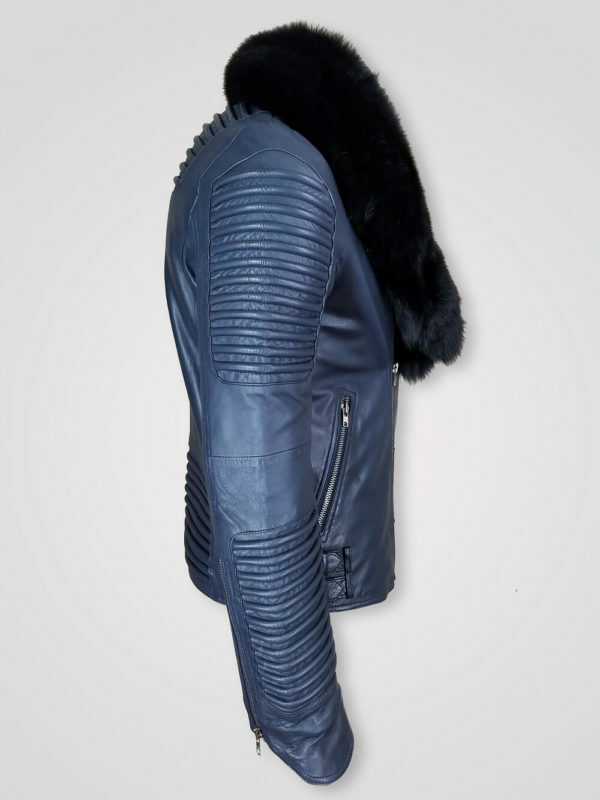 Bluish color and black raccoon fur collar is a great combo and that’s why I liked this product this much. After placing the order, I have got it within a week and I am very satisfied with the quality of leather and fit of the jacket.